This is going to be tricky riddle for kids. To solve this tricky riddle, you need to have good sense of directions. It took a lot of thinking for me to solve this mind twisting riddle. Lets see if you can solve it correctly in your first attempt? 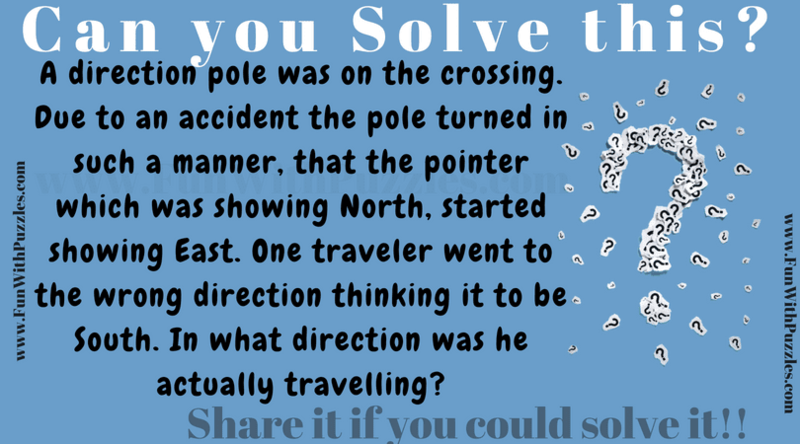 Answer of this "Tricky Riddle for Kids", can be viewed by clicking on button. Please do give your best try before looking at the answer. Person is moving in East direction.